Microsoft has announced that Internet Explorer 9 will officially be released to the public today, bringing with it HTML5 support, Direct2D and DirectWrite graphics hardware acceleration, improved CSS3 and SVG2 standards, and a number of new features, fixes, and overall improvements. One interesting feature is the new “pinned sites” feature, which is being described by many as a web app like feature. This essentially allows you to pin sites to your taskbar in order to better manage them, as well as access direct features from a Windows “jump list” style menu as shown in the image above. For instance, by pinning Twitter to your taskbar, you can directly jump to most functions including Direct Messages, New Tweet, Mentions, Search, Favorites, and more. Some of the sites currently supporting this new feature include USA Today, Facebook, Wall Street Journal, and Hulu. 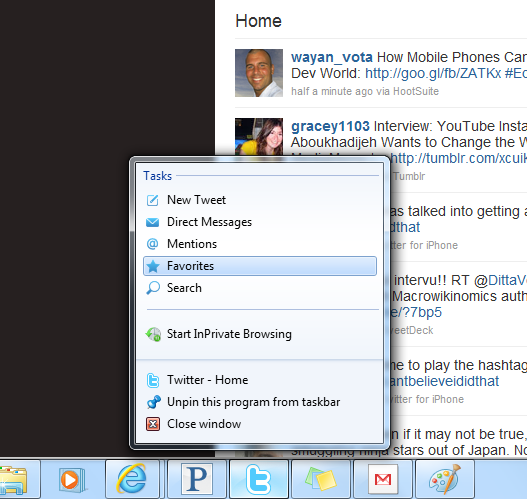 Other new features include a unified “One Box” search bar with Bing, Google, Wikipedia, Amazon, and Facebook support. The One Box search bar also displays history results. There is also much improved Tab functionality which includes Chrome like tab processes, allowing you to close one unresponsive tab without affecting the others. 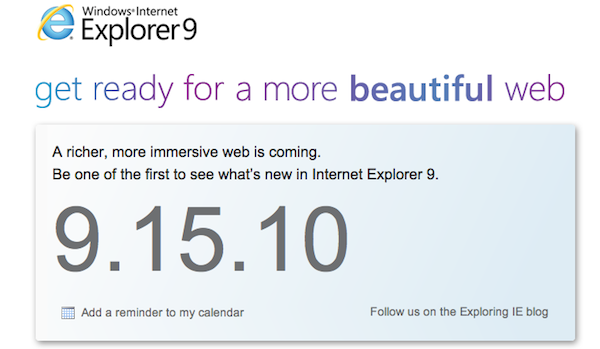 The Internet Explorer 9 beta will be out to the public later today. 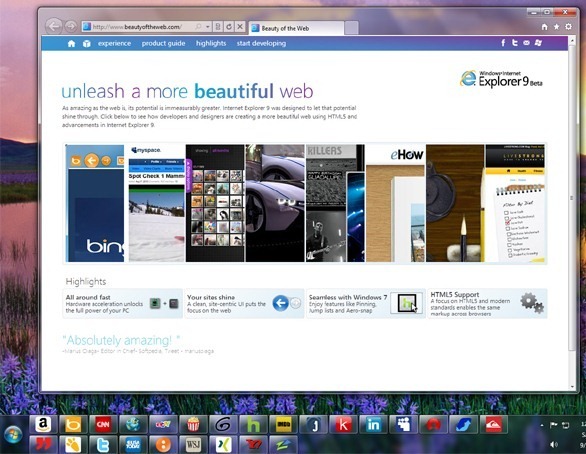 Let us know what your favorite new feature of IE 9 is.